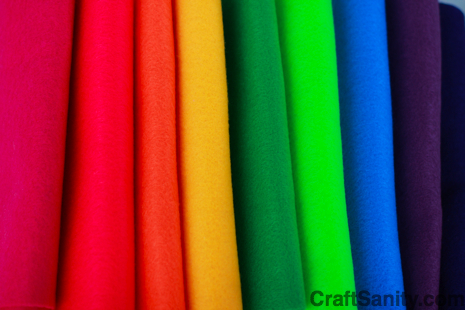 Okay, folks, it’s time to share your favorite felt craft project. Post below about what you make out of craft felt. (Links welcome!) If you haven’t made anything out of felt but want to, tell us about your plans and feel free to include the link to that tutorial you want to try. Post your comments below by Saturday, June 20, 2009 to enter the drawing for a gift basket of felt and other craft goodies from the Kunin Group. Kunin makes the felt Jen Segrest uses to make her lovely pincushions. It can be found at most local craft stores. I’m on a massive felt kick and would enter this contest myself if I could. : ) Good luck everyone! Update: And the winner is… Bonney Teti of New Hamshire. Congrats, Bonney! And thanks to everyone who posted comments below and shared great felt project ideas.